You cannot exaggerate the value of this vital point! No goal, no final destination! Goals can only be settled by scores, national or regional titles, or both. We have much available information such as competition records to tune our model to fit toward our desired goal. What do we need? We need our tool: Olympic pistol, our plan: a written shooting diary, time to execute our plan, and desire to reach the final destination. Today, I started to work with two young gentlemen to help them accomplish their goals. I will ask them to write their goals down, dated and signed. I am wondering if any of them have dreamed to become Olympic champions? We will see. In 1981, as a member of the junior team of Belarus, I was selected to participate in a two week special practice session with elite USSR Olympicstyle athletes and USSR national coaches. At the time when I was selected to participate at this training session, my average score was FP 550 to 555 and AP 570 to 574. After the two week completion of this training session, we entered to participate at the USSR national championship. I scored my personal best of six points above my average score in FP (561) and four points higher in AP (578). You will treasure this experience forever when you reach your “Flow” or “POP” (Peak of Performance). You can’t force it or push it over development. One particular “special thing of yours” is a complex development where all elements adjust to the highest performance, including your body, your mind, your tool (Olympic Pistol), and most importantly, “Perfect Single Shot Development”. I was very please to stay on the same podium with Igor Basinski who took first place and scored FP 565. I do not remember who took second place with a score of FP 562 or 563. I was presented with a book and the personal signature of one of the top national coaches who conducted this training session and was responsible for my unexpected and immediate progress. I treasure my experience and I am happy to offer the same training in my Master Class program to dedicated Olympic style pistol athletes at Midwest Academy Consulting Group. 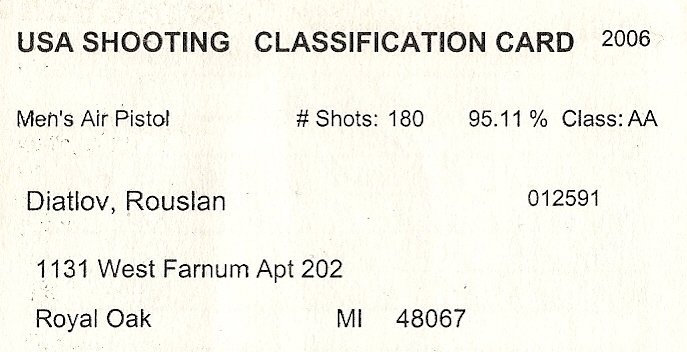 This class is available after the successful accomplishment of the “Perfect Single Shot Development Class™”. What Is the 20/80 Rule in Olympic Pistol? The 20/80 or Pareto principle can be successfully applied during Olympic pistol training. The idea behind this rule is simple. 20% of specific activities have to calculate 80% of elevation in performance. 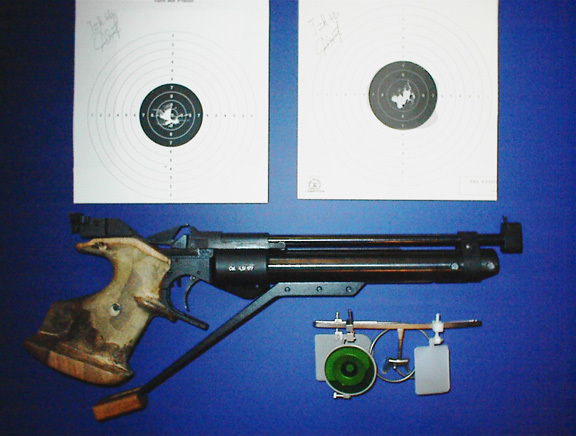 The practical application of this rule is in the implementation during the dry fire process. During an early age in my competitive career, the dry firing process was the most boring and tiring part of practice. Since the Perfect Single Shot Development Concept™ was introduced to the athlete; the visual image of the dry fire process was changed completely. I successfully used this type of practice a few times in my life to achieve the competitive International Level of Performance in six months, after an eight year gap in training. 80% of the time was used during the dry fire process with devices allowed to perform the dry fire trigger squeeze. 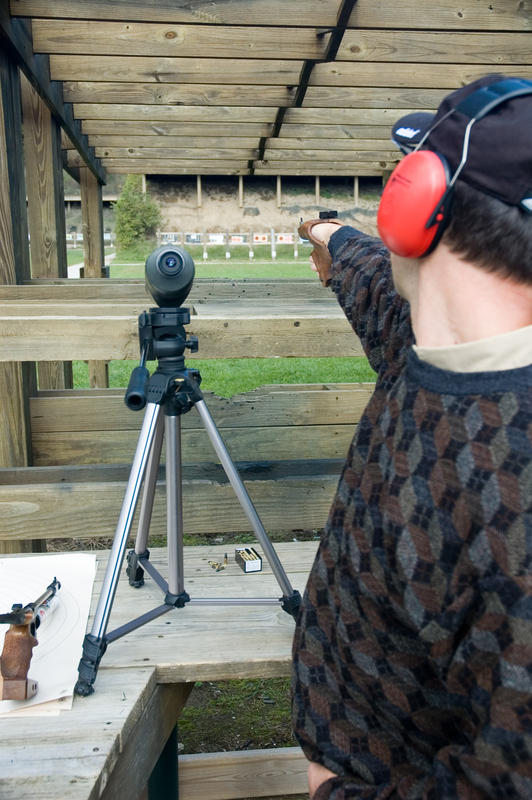 The second part of the 20/80 rule is understanding and applying the trigger point of the POP (Peak of Performance), and the “Flow” in Target Shooting or practice. If an athlete is not able to perform AP 570 or FP 545 constantly, it is too early to talk about the “Flow” or other kinds of subconscious performance stages because he is constantly dealing to fight mistakes in his technique. The third part is the engagement of specific training activities which can produce an elevation in competitive performance in the practice routine. The execution of this program allowed me to practice 45 to 90 minutes a day (5 times a week) while performing respectful scores: AP 575+ & FP 550+. Conclusion: “Perfect Single Shot Development Class ™ is an essential part of engagement of the 20/80 rule. It can save time and deliver results in months instead of years. Individualized training is available for aspired Olympic style target shooting athletes in Troy, Michigan, by Midwest Academy Consulting Group. Please view the following Midwest Academy & Shooter’s Service Ltd. Flyer. Am I Convinced or Am I Committed? I started my athletic career at the age of fourteen in 1978. My father tragically died two years earlier. 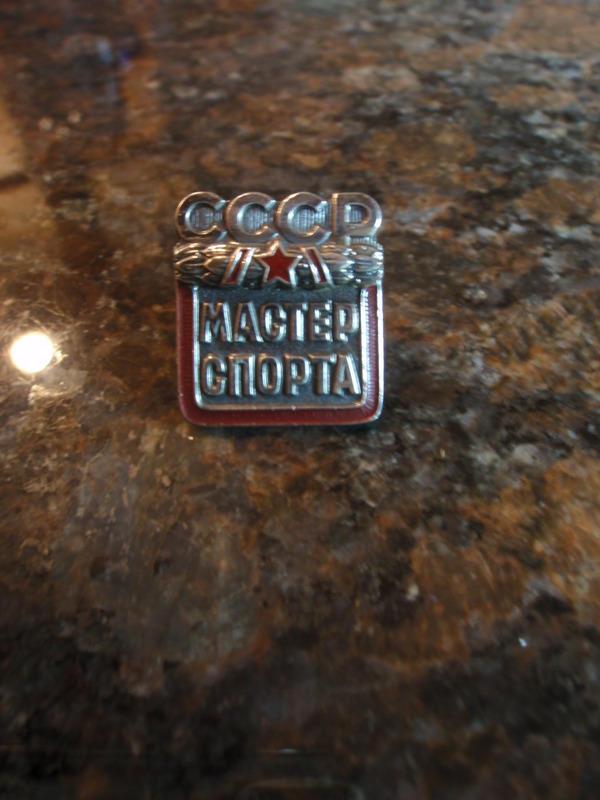 I remember from an early age he gave me one shiny pin, the KMS of the USSR. 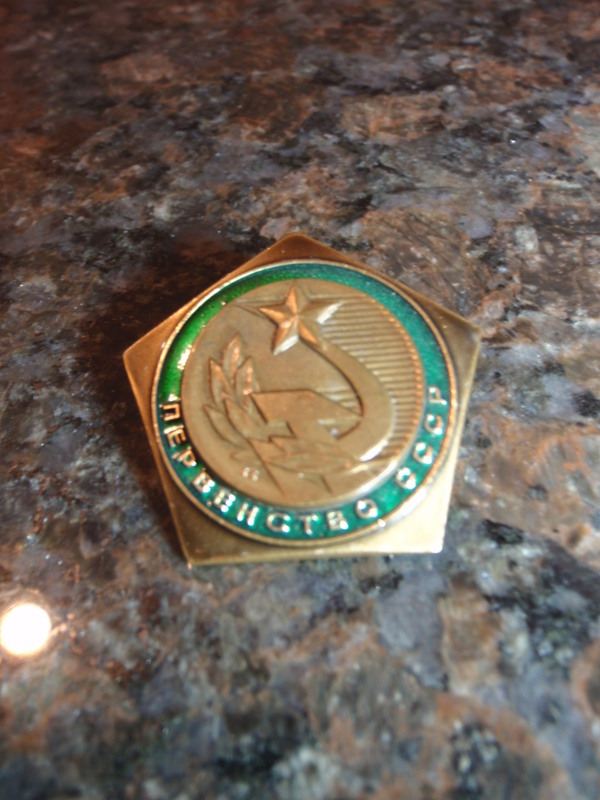 This pin was so beautiful for me, but it was somebody else’s achievement. Anyone who was able to wear this pin had immediate recognition from me. In those days, I did not have the opportunity to join any sport activities in my school besides attending a fitness class… This was when my dream was born. When my family moved to Belarus to be close to my relatives, I was trying to join track and field. I was happy to start working toward my goal. My goal was to achieve my own KMS pin. By accident, I was introduced to target shooting, not only as a sport activity, but to join and be part of a high level competitive team. They had only one available opening and I happened to be around. I was asked if I would like to join the team. I accepted their offer without hesitation. I would have done anything to get closer to my dream in order to receive that shiny pin, and this was the perfect opportunity for me. I became part of highly respectful, young, and promising athletes, which I personally wasn’t at the time. During the first year, I was the last one in everything because I had no previous experience in target shooting (ISSF former UIT). Nonetheless, I had a dream, goal, and guts! In 1979, I was among the best of three athletes in my team. It had much meaning because I was always selected to travel with my team to different parts of the country. We mostly visited places such as Minsk, Lvov, Tallinn, Riga, and Soxumi. 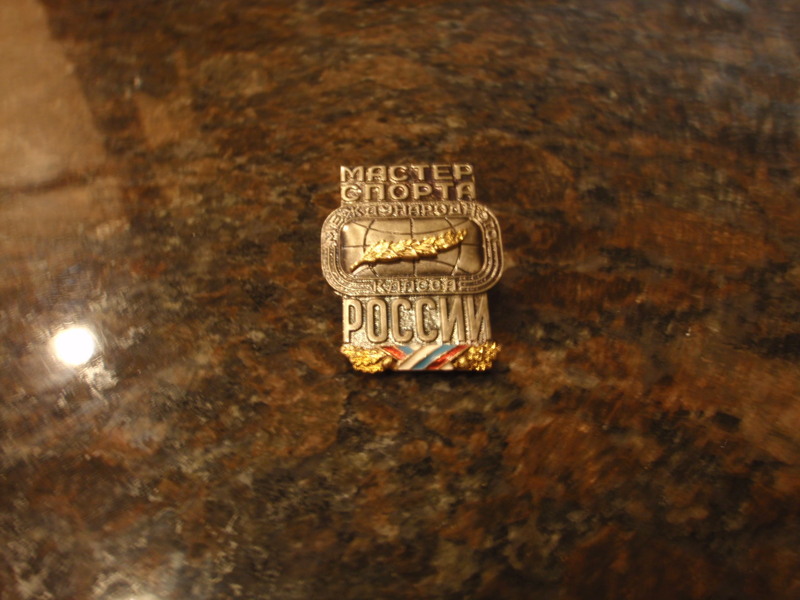 In 1980, the Olympic Games happened in Moscow and I received my dream pin. I became #1 in my team and became a member of the junior team in Belarus. I started dreaming about the next step: to become an MS (Master of Sports of the USSR). I achieved it later in 1983 when I studied for my first Bachelor’s Degree in Ukraine (Donetsk). When I achieved this level, I started to think about the MSMK, which I also achieved 12 years later in 1995 when I joined the SKA16, marksmanship unit CISM program in Russia. One can’t expect a new outcome by doing the same thing over and over again. Reading new information is not what you think you need. I detect weak areas in performance, offer new solutions, and provide 90 days to create a new successful model of performance. Why did I disclosing this information? In our sport, there is no age limit to achieve your goal. The most important thing is your own motivation. Are you committed to achieve your goal or just convinced? 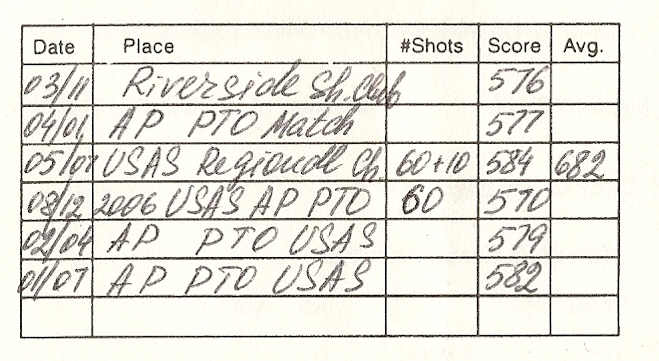 I recently receive seven emails from competitive ISSF shooters with a request for my previous notes or records posted at various sources such as forums. I haven’t collected them yet. The value of my service is not only based on receiving written material from my class, but on the initial conversation with my student is extremely important. I will provide information based on existed levels of understanding. If someone is willing to have after class material, it will be written in his or her own words, based on a new pattern created over our two day class. Your effort to come to the class is just as valuable as your desire to travel to a match. It takes time to understand how important one’s dream is to achieve a certain level of performance in a chosen field. If I am talking about 570 in AP, this is a very conservative number. The potential of this class is much higher. How it works and why it is working? 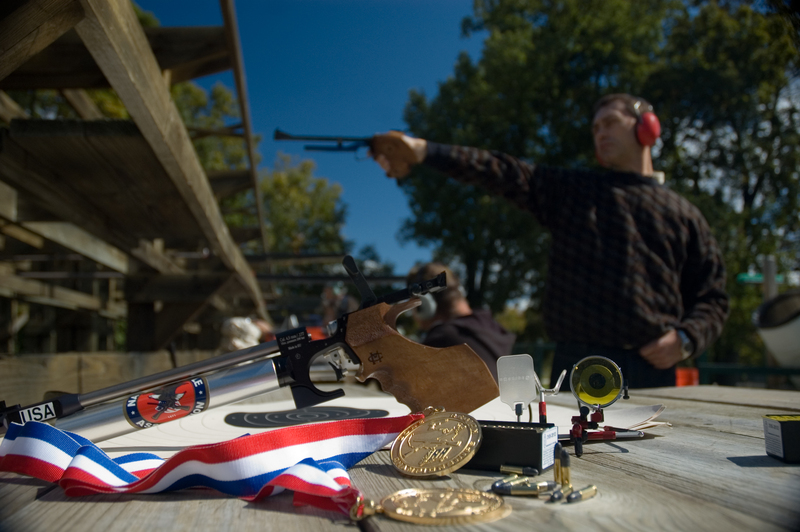 …This class was created with the most needed information in mind for competitive athletes in Olympic style target shooting or NRA International Pistol. 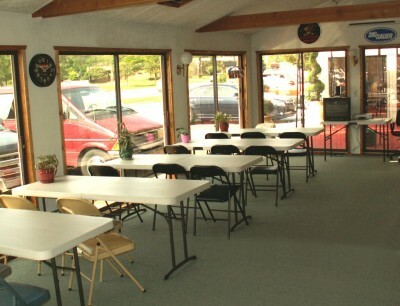 Class holds in private sessions formatted for each individual who is looking to attend the class to receive the absolute amount of attention and to have all necessary questions answered. Next important benefit of the class … The class is taught by Ruslan Dyatlov, Chief Instructor of Midwest Academy Consulting Group, whose experience and knowledge in the competitive field is measured not by hypothetical ides or theories, but by solid performance over 27 years in the competitive field. Why two days? … On the first day, you will receive information and ask questions. On the second day, you will explain all new patterns and concepts related to your new model of practice and performance. If it is necessary, it will be fine tuned before you will start working on it at home. The most important part: three months of support from this class. The value of support is crucial as well as the class itself. You will be monitored all the way up in your performance. We have a conservative number in mind: 570 AP as our target goal. There is no limit to score over this target or a few points less. The main idea is to move your performance higher from the previous stagnation phase and to build confidence in the unlimited possibilities of your future development. Are you still wondering why someone else’s performance is different than yours by to 20 to 30 points up? There is system, structure, and strategy involved or just talent. Would you like to have your efforts deserve an exceptional performance? My best wishes! See you soon at my class! Call us: #248.935.3257. I would like to announce the opportunity to introduce competitive Target Shooting (Olympic Style Target Pistol Shooting & NRA International Pistol) to aspire competitive shooters and newbies. Today, I had a conversation with the gun owner of Shooter Service in Livonia, Michigan. They moved to a new, beautiful facility and offered the opportunity for me to use their classroom to introduce our sport for attracted shooters who may consider to advance their hobby to the next level. I’m excited to speak and discuss the possible development of competitive target shooting with the help of gun enthusiasts in our area. I do not have specific details or the date about this class. 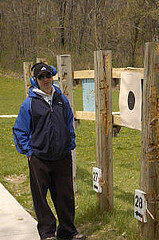 This class should appear on the following link on the Shooter Service’s page in Livonia: http://www.shootersservice.com/class_schedule.html. I really like this room. So far, this room has the capacity of 15 participants. Please reserve your spot prior your attendance by replying on my blog, Twitter, or Facebook page. If you have any quetions or concerns about class topics, please feel free to send me your questions as well. Please Be Advised: we will have limited time (about an hour and a half). There is no cost for attendance! Coffee will be provided by the store owner. Specific dates will be announced soon. Please check our blog for further information. Hello everyone, this is our first post about Olympic Style Target Shooting. First of all, I would like to show a few places where you can start practicing your favorite activities; Olympic Style Pistol or NRA InternationalPistol in the Metro Detroit Area, Michigan. The Detroit Sportsmen’s Congress is located, on Dequindre and north of Hamlin road (22 Mile). We are located Southeast of Rochester and Northwest of Utica. I hope you will find this information helpful to start your new hobby.